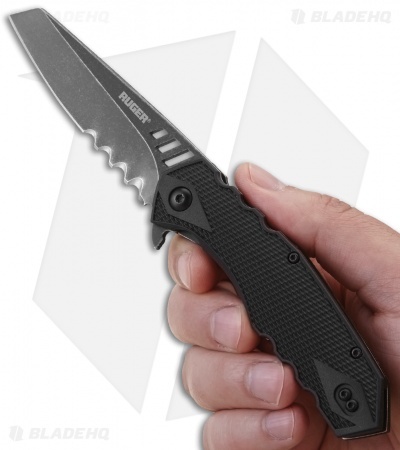 Designed by Matthew Lerch, the Follow-Through Compact folding knife shines in terms of form and function. 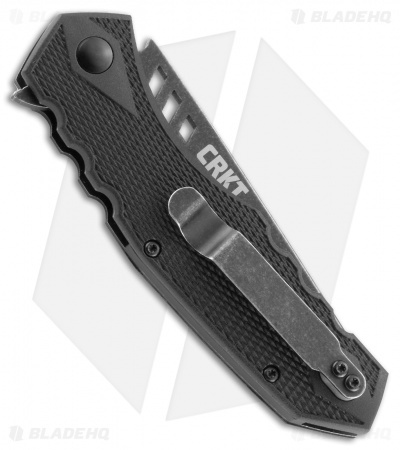 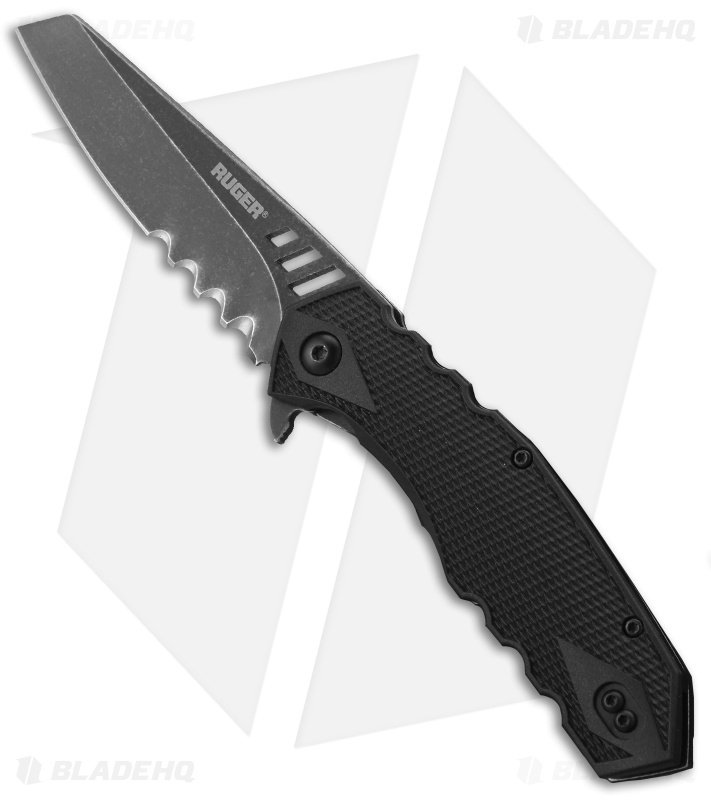 It has a flipper opener set to an IKBS ball bearing pivot for incredibly smooth action and a liner lock mechanism keeps the blade securely in place. The handle sports Ruger-inspired, diamond-checkered glass-reinforced nylon scales over stainless steel liners and includes a reversible tip-up carry clip. This model has a black stonewashed reverse tanto blade with Veff Flat Top serrations.